PYRAMAZE is a Danish Metal band founded by guitarist Michael Kammeyer in 2002 with the intention of creating an epic melodic metal band from scratch. The band has released 4 albums with the different line-up: "Melancholy Beast" (2004), "Legend Of The Bone Carver" (2006), "Immortal" (2008) and "Disciples Of The Sun" (2015). Even though the albums were produced by a different line-up, those 4 album are highly acclaimed with its heavy, dark, melodic and progressive sound. 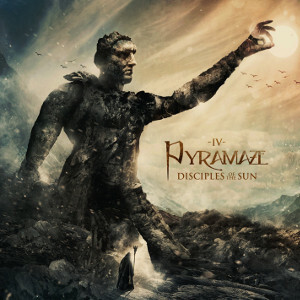 Marking the dawn of a new era for PYRAMAZE, especially their fourth album "Disciples of the Sun" is a true creative and artistic venture for PYRAMAZE. With song writing being divided between members Jacob, Toke, and Jonah, there is an undeniable diversity and freshness to the sound of the album. The album was produced, mixed and mastered by Jacob Hansen (Volbeat, Amaranthe, Epica, Evergrey) of course. Also this album features special guest musicians such as Joost Van Den Broek (ex-After Forever, Star One), Kim Olesen (Anubis Gate) and Henrik Fevre (Anubis Gate). 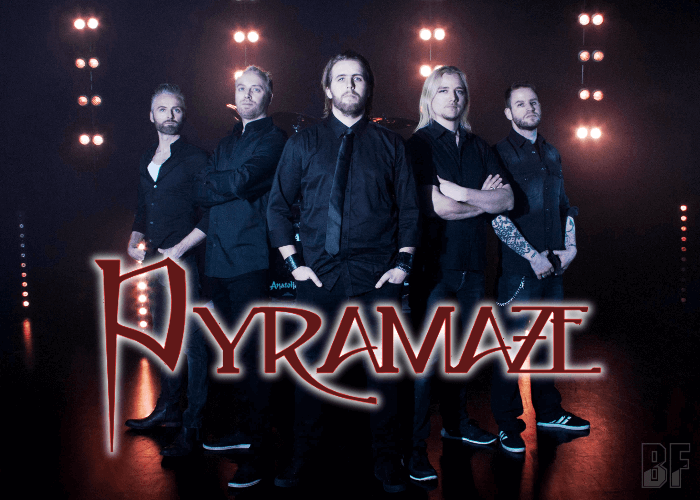 PYRAMAZE has toured along with VOLBEAT on their Danish tour in 2008 and recently on June 26th they played at the Kløften Festival in Haderslev, Denmark.